A Home for the care of destitute children whether with or without parents. Children received from the ages of two to twelve, subject to physician's examination. They may be kept in the Home as long as may be deemed necessary by the Board. If any of the friends of the children which to contribute something toward their support they are allowed to do so, but no charge is made. Capacity, 100. Children are not sent to public schools but are instructed within the building. There is no specific industrial or manual training. Visiting days for relatives and friends of the children are the first Thursdays in the month. Legal holidays are not visiting days except by special permission. Hours, 2 to 4 PM or thereabouts. The Home of the Friendless is of a three-fold character, its work takes on a wider range than the generality of charitable institutions. While the little ones are provided with home, food and raiment by the goodly women who never tire in doing the work of the Master, are gathering the little unfortunates in the fold they have provided in the beautiful house. YCS Adoption Services Search and Reunion Program offers search services to adoptees 18 years and older, birth parents and siblings who are interested in establishing contact with their natural family and/or obtaining updated medical information. Recently YCS expanded its search capabilities when the program acquired the adoption files of Christian Homes for Children in Hackensack which includes the files of Good Will Home and Rescue Mission in Newark and the Fort Lee Orphanage. 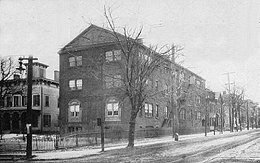 These are in addition to the current record base of files from the Protestant Foster Home, Home for Friendless and Newark Home for Foster Care, Newark Orphan Asylum and the Children's Aid Society ­ The Prevention of Cruelty to Children. For more information about this program or to inquire about a search, call 973-395-0801 X417.